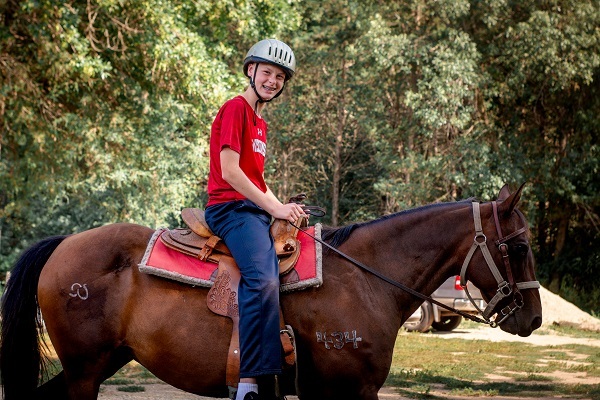 Campers in our horse program develop from novice riders to young adults experienced in many aspects of equine care, grooming, riding, and training. For most Trail Trotters, their camp session is their first exposure to horseback riding, and their session focuses primarily on developing basic western riding skills. Boots and Saddles campers transition from Western to English riding, spending afternoons with our partners at the St. Croix Training Center. Wranglers, with us for two weeks, spend more time in activities besides riding such as grooming and training; they train over their weekend with Pine Lake Pastures. 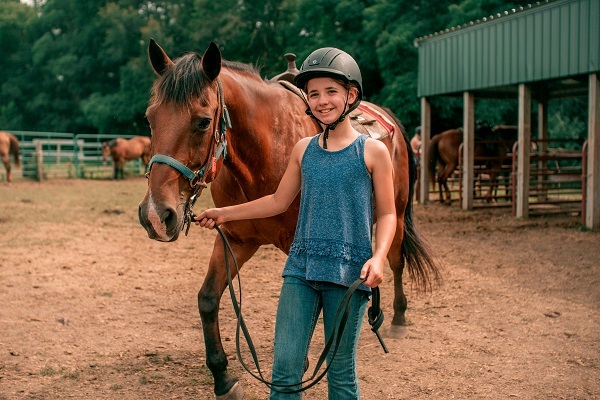 Our horse-focused Leadership Development Program, titled Equestrians, takes campers skills to the next level and introduces them to long-term opportunities in training and equine therapy. In partnership with Saint Croix Training Center. In partnership with Pine Lake Pastures. Entering Grades 10, 11 and 12. Gain skills in training, riding, and caring for horses and teach younger campers.